Conditional Logic allows you to show or hide fields based on user input. This way the user registration or edit profile form fields will dynamically show or hide based on user selections. Conditional Logic can be applied to a user field when creating a new field or editing an existing one. 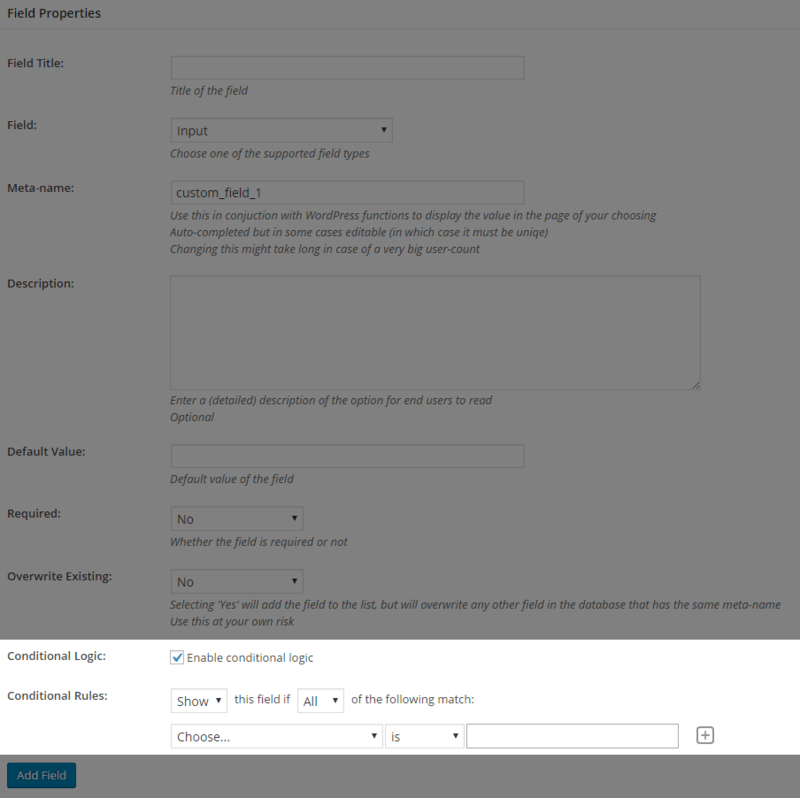 Conditional Logic option is located under Profile Builder -> Manage Fields, in the Field Properties box. Below we’ll focus on setting up a conditional Phone field, which will display only if certain user inputs are met. 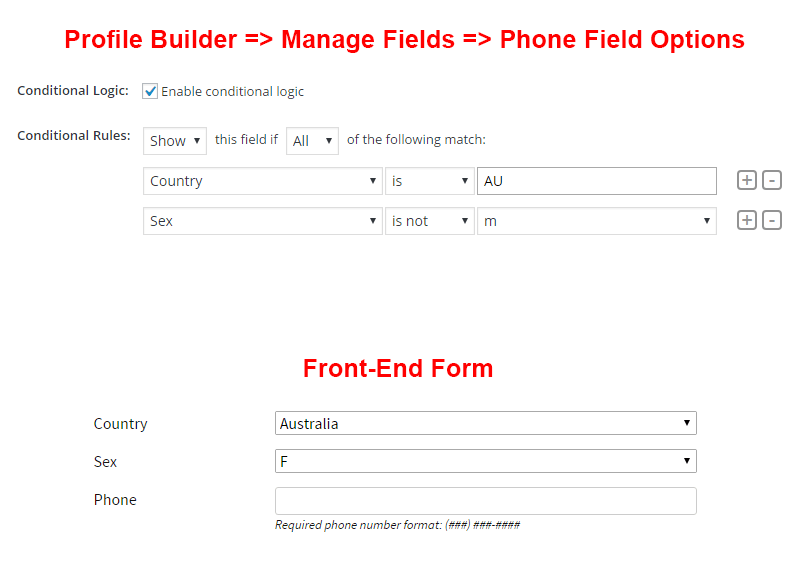 For Select (Country) field you must type the country code in back-end Conditional Logic option.